A decade ago, Dana Esposito met Professor Bonnie Higgins at ExhibitorLive!. Higgins, who teaches at Bemidji State University, quickly gathered that Esposito is a friendly and active professional in the industry. She invited Esposito to become a mentor through the University Affiliations Committee with the Experiential Design Professionals Association. Esposito would be paired with a student enrolled in the exhibit design programs at BSU or the Fashion Institute of Technology. 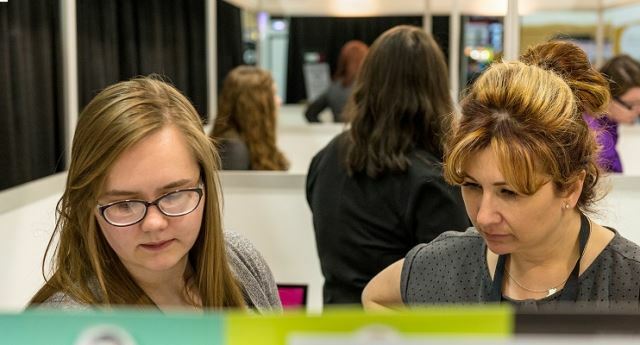 Esposito, who is a creative director at Elevation Exhibits in Shrewsbury, Mass., would guide the student with her designs and introduce her to the world of exhibitions. When Esposito learned of the program, she knew that she had to become the mentor she wished she had as a student. “When I got my start, the industry was not a warm and fuzzy place,” said Esposito, who entered the industry when the economy was down and the competition fierce. Wherever she worked, she encountered an us-versus-them culture. In her heart, Esposito sees colleagues, other professionals and companies as pieces to the puzzle of the exhibitions industry. To continue reading, view the complete article by Exhibit City News.